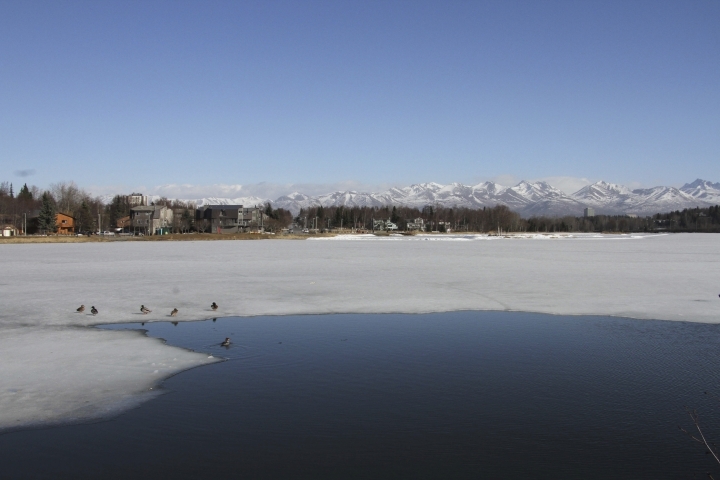 ANCHORAGE, Alaska — Unusually high March temperatures lopped weeks off Alaska's long winter and reflect a warming climate trend, state climate experts say. March is normally reliable for dog mushing and cross-country skiing. However, extreme warmth melted snow and made ice on waterways hazardous for travel in the state. 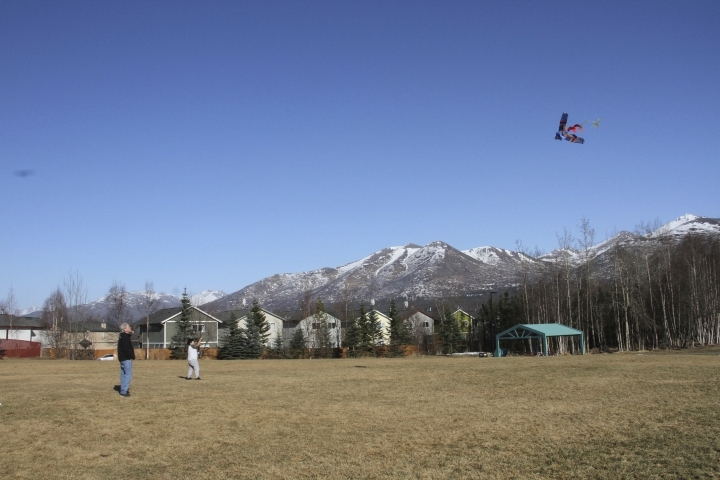 Anchorage, Alaska's largest city, didn't record a flake of measureable snow. "It was as if we didn't have March this year," said Martin Stuefer, state climatologist and an associate research professor with the Alaska Climate Research Center at the University of Alaska Fairbanks. "We had April instead." 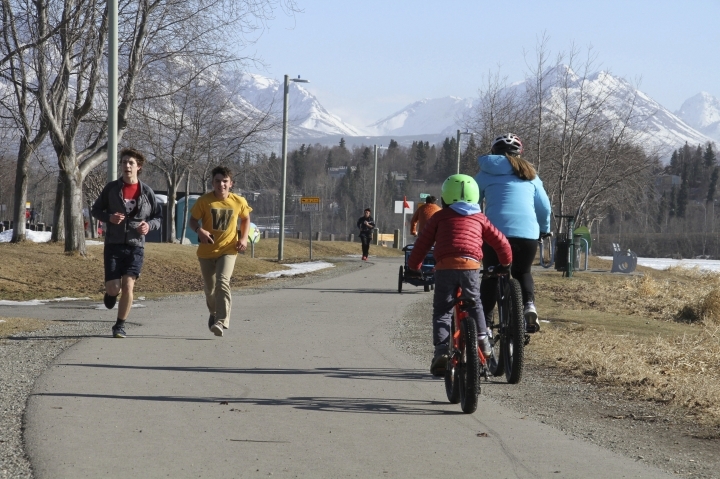 Researchers don't make climate conclusions based on a month's data, but Alaska's warm March reflects an upward warming climate trend in America's largest state, Stuefer said. "We see the last several years were way warm. There's a clear climate-induced warming. There's no doubt about it," he said. The March warmth was due to a high pressure ridge over Alaska and northwest Alaska that lasted two weeks. Low pressure over the Bering Sea produced southwest winds along Alaska's west coast, pushing warm air from southern latitudes into the Arctic, according to Stuefer. Fairbanks, in the center of the state, hit temperatures in the 50s (10s Celsius). People broke out shorts and barbeque grills, Stuefer said. 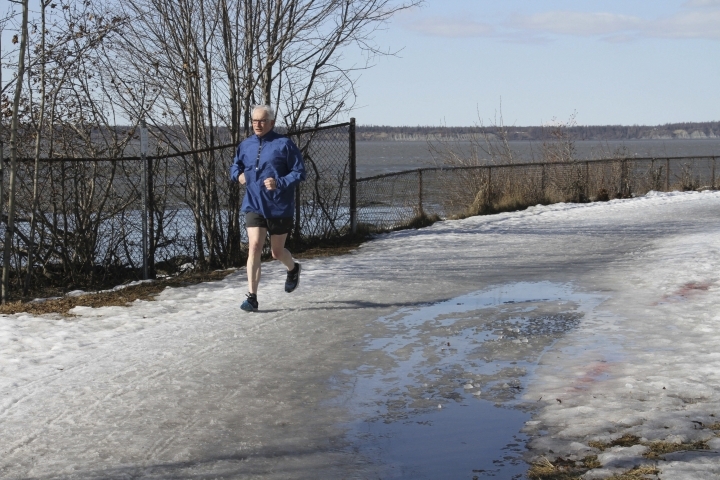 "People were in a happy mood, many people who wanted to get rid of winter," he said. The state's second largest city also for the first March ever had consecutive days when the low temperature did not dip below freezing. Temperatures in northern, western and interior Alaska exceeded the daily average by double digits, said Rick Thoman, a climate specialist at the University of Alaska Fairbanks' Alaska Center for Climate Assessment and Policy. America's northernmost community, Utqiagvik, formerly Barrow, averaged 18.6 degrees (10.3 degrees Celsius) warmer than the average from 1981 to 2010. In southeast Alaska, the village of Klawock hit 70 degrees (21 Celsius) on March 19, almost two weeks sooner than any state weather station had reached that temperature, Thoman said. "March is certainly one for the books," he said. The headquarters at Denali National Park reported zero snow on the ground as of March 31. "That's by two weeks, not just a day or two, the earliest they've lost the winter snow pack," Thoman said. Snowpack does not determine Alaska's wildfire season but firefighting officials are bracing for an early start, said Tim Mowry, spokesman for the Alaska Division of Forestry in Fairbanks. "With these conditions, we could see fires early in the season, if the weather continues," he said. 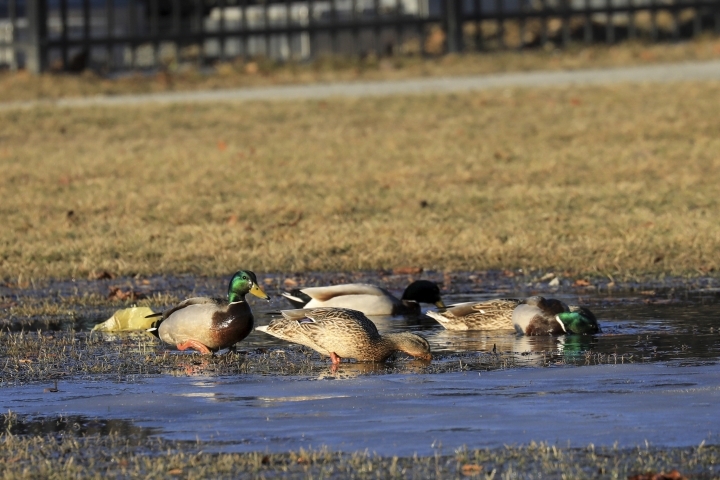 Warm temperatures affected frozen waterways used for winter transportation. Five people riding on two all-terrain vehicles March 31 near Bethel in southwest Alaska plunged through thin ice on the Kuskokwim River and two people died. Alaska State Troopers warned residents afterward to cease river travel. The Bering Sea off the west coast set a record for the lowest ice extent in March. So did the Chukchi Sea off Alaska's northwest coast. Like Stuefer, Thoman said the extreme weather month fits the scenario of rising temperatures accompanying climate change. "The changing climate is the background that this is painted on. Months like this, far, far above normal — that's going to occur more frequently as the escalator goes up," he said.